I always love it when a movie exceeds my expectations. And Frequency did just that. It took just a bit to get started, but once the major players and plot was set, I was hooked. The first 45 minutes or so of the film is a great story in itself. In fact, it could have been a movie on its own. Frank Sullivan (Dennis Quaid) is a heroic firefighter in 1969 who loves his family dearly. We come forward to witness his son, John Sullivan (Jim Caviezel), 30 years later in a life pretty torn apart. He has fond memories of his father, who died years ago in a fire. On the night when the aurora borealis begin to appear in the night skies of both modern day and a generation ago, a phenomenon occurs. 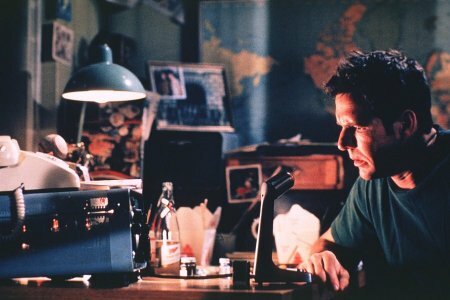 John somehow finds himself trying out his father's old ham radio and winds up actually communicating with his father 30 years into the past. Once the reality of this unbelievable event sinks in, John realizes that he may be able to save his father, and pleads with him to alter his actions in the upcoming warehouse fire. The rescue of his father is a tearful and joyous end to this opening act. It may seem like I have already given away too much, but there is so much more. What is really great is the ending. I won't talk about it in detail, but it truly was awesome. It was pure excitement, adrenaline, intrigue, nervousness, triumph, exhilaration, joy, etc. I could go on and on. The real treasure that this movie holds is in its script. The story sets up its own universe and rules and then weaves a great plot into it. It provides great insight and tests its own boundaries very effectively. All that and it pulls at the heartstrings too. It was refreshing to see a love story about father and son instead of the ubiquitous man/woman thing. Another great thing that this movie does is distinguish very well between 1969 and 1999. And for those characters who appear in both generations, the makeup and effects were quite realistic and totally believable. Sadly, I cannot say the same for this year's Rules of Engagement. 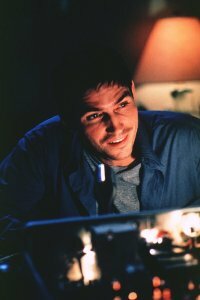 Dennis Quaid and Jim Caviezel as father and son were magnificent. I felt very connected to both of them. They were both very real. Each had their own personal struggles. It was great. 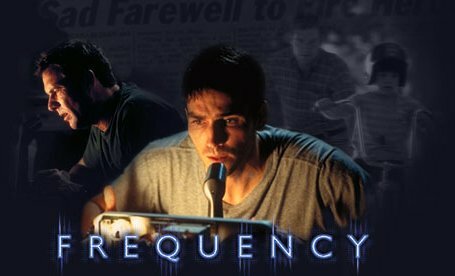 How would you rate the movie Frequency? There have been 9389 people to visit this page since Fri, May 19, 2000. And you are the first person to visit this page today!